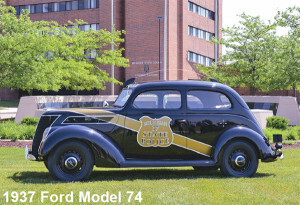 Tag Archive | "Patrol Cars"
Fifty special edition black and gold patrol cars joined the Michigan State Police (MSP) patrol fleet this week in honor of the department’s 100th Anniversary. 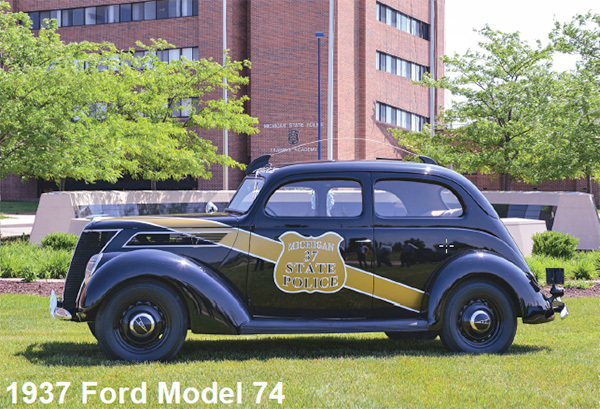 The fully equipped 2016 Dodge Chargers are painted to resemble the department’s iconic 1937 Ford Model 74 patrol car. 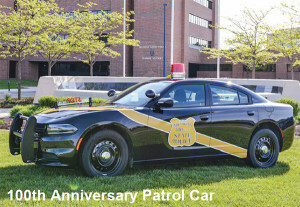 These patrol cars were purchased as part of the department’s annual fleet replacement so no additional money was expended for them, nor is there an additional cost to purchase a black car versus a blue car. These 100th Anniversary patrol cars will remain in the department’s fleet until they reach their maximum mileage and must be replaced, like any other patrol car.